Pleasant Street reconstruction project in process! HTPO is excited to announce the Pleasant Street Reconstruction project is moving along with hopes to be complete by Fall 2015. 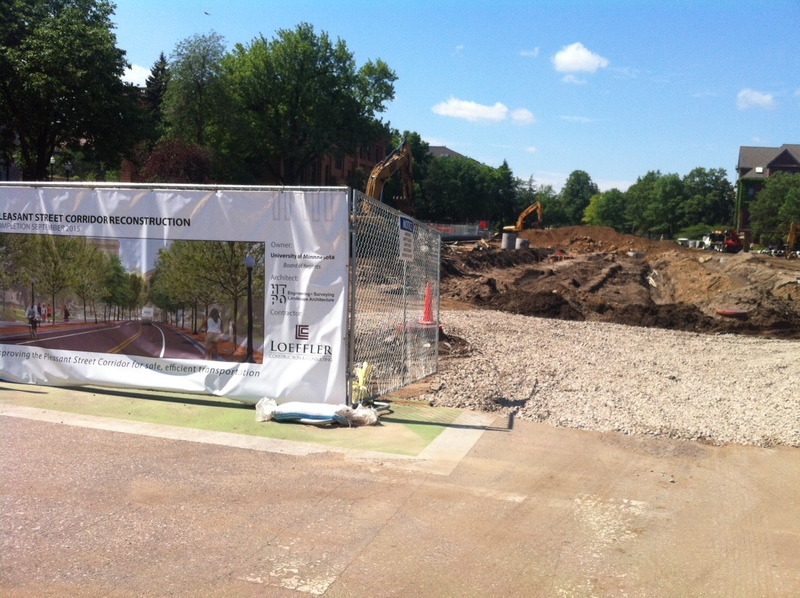 HTPO was the lead design firm for this complete reconstruction project working with the University of MN Capital Planning and Project See below link for the live project webpage for this project, as well as a shot of the entrance to the project!